We are delighted to announce two winners for the April Audition Oracle Singers Preparation Award. 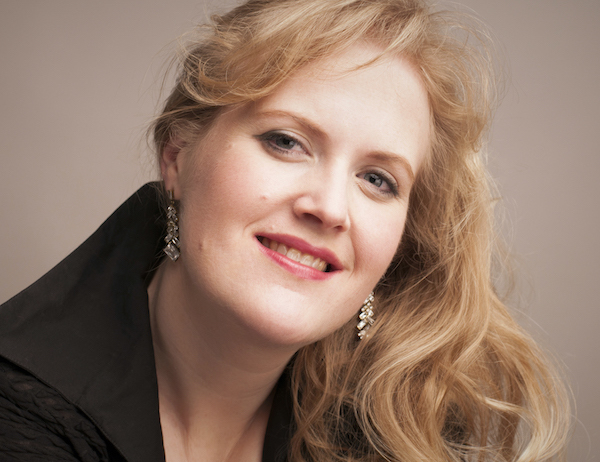 Our anonymous donor has awarded £300 worth of support to Berlin-based soprano Kirstin Sharpin to aid her preparation the role Senta in Der fliegende Holländer ahead of her performances with Longborough Opera. Our own £300 award goes to mezzo-soprano Sophie Goldrick to fund new video/audio recordings following a change of repertoire. Sophie Goldrick will be recording with visual/audio engineer and baritone Jan Capinski. We look forward to hearing her new sound files in the coming months. The winner of the International Wagner Stimmen Wettbewerb in Karlsruhe in 2015, Kirstin read English and Italian at the University of Auckland before graduating from the Royal Conservatoire of Scotland as Master of Opera with Distinction. Further study followed at the Cardiff International Academy of Voice with Dennis O’Neill as an Independent Opera Postgraduate Fellow and Samling Artist. Recent operatic engagements include the title role in Beethoven’s Leonore for the Buxton Festival and Kirstin's first steps into the role of Isolde, in an adaptation of Wagner's Tristan und Isolde staged for the University of Oxford's 'Wagner 1900' conference. A critically-acclaimed Elettra (Idomeneo - Blackheath Halls Opera), and Gertrud (Hänsel und Gretel - Garsington Young Artists at West Green), Kirstin has given concert performances of the title role in Weber’s Euryanthe, Ada in Die Feen, Mariana (Das Liebesverbot for Chelsea Opera Group), and Gerhilde (Die Walküre for Saffron Hall Opera). Other roles include Samaritana (Francesca da Rimini for Opera Holland Park, Donna Anna (Regents Opera), Helmwige (Die Walküre - St Endellion Festival), Vitellia (La Clemenza di Tito - Opus Opera), Angelica (Suor Angelica - Beethoven Ensemble and RCS), Tatyana in Eugene Onegin, Fiordiligi in Cosí fan Tutte, and Nella in Gianni Schicchi, as well as covering Magda (La Rondine for British Youth Opera). Confirmed future plans include a role debut as Senta in Wagner's Der fliegende Holländer at Longborough Festival Opera in June 2018, conducted by Anthony Negus in a new production by Thomas Guthrie. Arnold Schoenberg's Gurrelieder is also scheduled for the 2018 season. 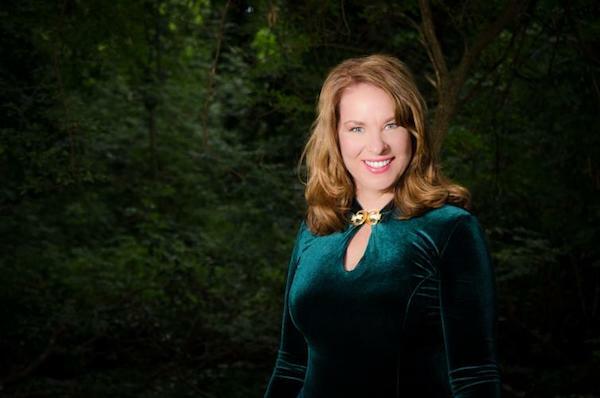 Kirstin has made several appearances with the Royal Scottish National Orchestra, and her concert repertoire ranges from Handel to Mahler’s Eighth Symphony and beyond, including key cycles such as Vier Letzte Lieder, Shéhérazade,Wesendonck Lieder and Nuits d’été. A semi-finalist in the ‘Meistersinger von Nurnberg’ and the Montserrat Caballé Competitions, the Elizabeth Connell and Kathleen Ferrier Prizes, Kirstin was awarded a Bursary by the International Opera Awards in 2016 and a Goodall Scholarship (Wagner Society of Great Britain) in 2014. Kirstin is a Britten Pears Scholar, and past recipient of Countess of Munster Trust, Miriam Licette and Sybil Tutton Scholarships. London-born Sophie grew up in Sydney, Australia. She holds a Bachelor of Dramatic Art from the University of Western Sydney and a Masters of Music with Distinction from the RNCM where she studied with Mary Plazas. Sophie now studies with renowned Australian soprano, Yvonne Kenny. 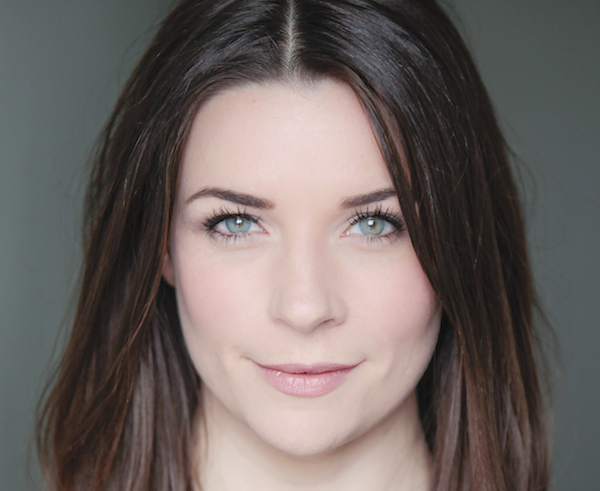 Sophie has appeared with Scottish Opera, Wexford Festival Opera, King's Head Theatre, West Green House, Al Bustan Festival, Grange Park Opera, Co-Opera Co., Opera Purpur, Buxton Festival Opera, Clonter Opera, Benslow Baroque Opera, Focus Opera & the Gabrieli Consort and Players. Operatic roles have included: Puccini Carmen (Carmen), Madama Butterfly (Kate), Verdi La Traviata (Flora), Sullivan The Mikado (Pitti-Sing), Verdi Otello (Emilia), Rossini Otello (Emilia), Tchaikovsky Eugene Onegin (Olga), Mozart La Finta Giardiniera (Ramiro), Janáček The Cunning Little Vixen (Fox), Haydn Orlando Paladino (Alcina), Rimsky-Korsakov Kaschey the Immortal (Kascheyevna), Handel Serse (Arsamene), Semele (Ino and Juno), Britten Albert Herring (Nancy), and world premieres of Benjamin Ellin’s Beyond the Screen (Morena) and Tom Floyd's Micromegas (Poet). On the concert platform, notable solo appearances include Rossini Petite Messe Solennelle & Stabat Mater, Mozart Requiem, Haydn Creation Mass and Nelson Mass, Vivaldi Gloria, Bach Magnificat, Mendelssohn’s A Midsummer Night’s Dream & Elijah, and Aaron Copland’s In the beginning. Forthcoming projects include Kate in Madama Butterfly at West Green House and Dinah in Bernstein’s Trouble in Tahiti. 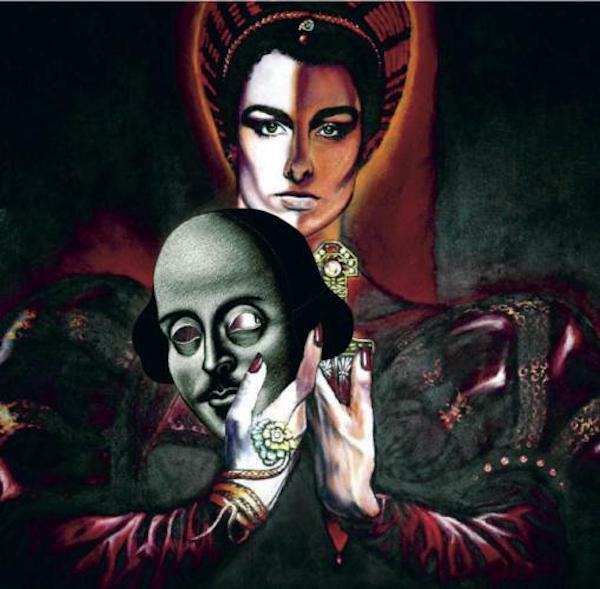 Mezzo sings the Bard: But why Shakespeare AND opera? This week Gráinne Gillis tells Audition Oracle about her unique project combining two of her passions, opera and Shakespeare. I’ve always loved performing. Ever since I played the role of Snow White in my class production in Senior Infants in my hometown of Cork (the equivalent of Year 2 in the UK), I have been bitten by the bug that won’t go away, the smell of the crowd, the roar of the greasepaint. My whole childhood growing up in rural Ireland was spent reading, watching movies, playing the piano and going to the theatre – I loved pretty much all of it. (Except for Irish dancing – it took me a year to learn the most basic step, the ‘threes’). I would lose myself in the woods around my house and pretend I was Anne of Green Gables, or whatever character I was currently absorbed in. I frequently got the lead in school plays, and loved nothing more than to dress up and inhabit another person. Aged 10, I decided to put on my own production of ‘The Sound of Music’ and play Maria. All the neighbourhood kids were involved, playing the different parts. I somehow – and I really don’t know how, as I was a shy child – got all the mums involved in helping out with costumes, including veils made out of bin bags and white paper for the nuns. My directorial and vanity project debut was going swimmingly until all the cast forgot how the film ended, and so my brother Niall, playing Ralf the Nazi informer and Liesl’s former love interest, ended up fleeing with the Von Trapps over the Alps. I guess if you’re going to have a dream – make it a good one! I’ve been thinking a lot about these days, and what led to me putting on my production at this year’s Wandsworth Arts Fringe, Mezzo Sings The Bard (playing Upstairs at The Cat’s Back, as part of the Fragility ‘Takeover’ of the festival). Quite frankly, I blame my parents. My dad was a barman from Queens in New York who loved opera – if he wasn’t playing Sinatra or Crosby (particular favourites), he was playing Verdi, Donizetti or Handel. My mum, a primary school teacher for children with special needs from a farm in Co. Kerry, to this day loves both Shakespeare and opera – my childhood was peppered with phrases like ‘Neither a borrower nor a lender be/For loan oft loses both itself and friend’, and ‘All that glisters is not gold’ and multiple other Shakespeare quotes, too numerous to write down, and outings to the theatre were as frequent as could be afforded. I first went to Macbeth aged 13 with her, and while I was a bit puzzled as to why the mainly student audience sniggered at the lines ‘Unsex me here’ and ‘Come to my woman’s breasts’, I was totally fixated by the language, and the music in the language. I immediately devoured everything I could on the great Shakespearean actors – Sir Laurence Olivier’s autobiography ‘Confessions of an Actor’ became like my bible. I was obsessed with Olivier, and his great career, and a little snippet that is told about his obsession with opera after playing Macheath in the Threepenny Opera and desire to pursue a career as an opera singer rather than the great actor he was stayed with me. One of my ambitions, after graduating from the drama school he founded, the Bristol Old Vic Theatre School, was to play Emilia in Verdi’s Otello at the ROH and Aemilia in the Shakespeare play at the NT. Well, I guess if you’re going to have a dream – make it a good one! I went to drama school by chance. I had vocal technique problems and so, rather than give up the stage entirely, I decided to throw my focus onto acting. I went to drama school by chance. I had vocal technique problems and so, rather than give up the stage entirely, I decided to throw my focus onto acting. I’d done summer seasons in Cork as an actress and so it seemed like a logical progression. However, fate seemed to have different plans for me and every job I did after drama school required singing of some sort (even a Eurovision ad for Tetley’s Tea in 2003 involved lip syncing as part of made-up Eurovision band Threenky, playing at Wembley!). In 2004 I was told by my then agent that the late, great Sir Peter Hall wanted to see me for an audition. Luckily, on a particularly Fawlty-Towers-esque tour of ‘Death of a Salesman’ I had read his autobiography ‘Making an Exhibition of Myself’ and so was well-primed conversationally. We’d a good old chat about opera, and then he said ‘Well, I suppose I’d better audition you’. After doing my speech and singing the Habanera from Carmen (yes, I knew about Maria Ewing) he looked at me intently and said ‘Take care of that voice’. The next day I had the job, a six-month tour of As You Like It, where I had the lion’s share of singing and understudying to do. The feedback I got from my fellow actors was that I needed to pursue a singing career. I resisted the idea; I embraced the idea. I spent two years as a busker for TfL until a tenor called Michael Hendricks stopped to listen and then sent me an email saying that I could have a serious career as an opera singer, but that I needed to stop busking. Through various courses, I searched for a teacher that could help me, and found one, Neil Baker, in October 2011. Six months later, I decided, with a burgeoning technique, that I had to give it that serious shot. So I kept on my voiceover work (lucrative and not time-consuming) and immersed myself in the world of opera. Last September, having had a number of opera contracts under my belt, but faced with a period of unemployment, I mentioned my idea for an opera/Shakespeare cabaret, similar to a restaurant gig I do, and creating my own work, to an actress friend who is also a producer. She offered to help me to organise some potential arias and speeches I might do, and came up with the name ‘Mezzo Sings The Bard’. A few months later, another friend mentioned the Wandsworth Arts Fringe and Fragility Theatre Company’s ‘Takeover’. I applied and a couple of weeks later, received notice that it had been accepted. The thing with Shakespeare, opera and mezzos is that once you start delving, discoveries flood in with regards to their mutual history! The show (which is on the 11thand 13th May, tickets here) is like a trailer of a bigger show that I’d like to put on. The thing with Shakespeare, opera and mezzos is that once you start delving, discoveries flood in with regards to their mutual history! So many composers were inspired by Shakespeare. Verdi called him: ‘Il Papa, the greatest searcher of the human heart’. Even Wagner, not necessarily known for his fulsome praise of other artists, called him “The mightiest poet of all time. His dramas stand out as such an immediate likeness of the world”. I’ve discovered an opera of The Merchant of Venice on the recommendation of a repetiteur friend. A Hamlet played by a mezzo in the early 19thcentury. Many wonderful sets of songs on different Shakespearean themes – so much so, that in my head, one show isn’t enough to do the great man justice. My show this week is approximately 45 minutes long, 8 arias and one song, from Purcell to the present day. There are a few speeches and a bit about Shakespeare with relation to opera, and my love of both with links devised by me, based on the opera/cabaret gigs I do in restaurants, which I greatly enjoy. There are a number of props, including a skull that lights up, which I’ve nicknamed Yorick (kindly donated by a friend - I am a sucker for a gimmick!). Shakespeare and opera seem to carry with them a real fear factor these days, and I think that’s unwarranted. While it’s been a learning curve in terms of the mechanics and preparation required to produce one’s own show, I’m passionate about bringing high art like this to communities who may never have been in an opera house or to a Shakespeare play (but who might be inspired to try it after), while retaining the integrity of both. Shakespeare and opera seem to carry with them a real fear factor these days, and I think that’s unwarranted. Neither Shakespeare, nor the many opera composers inspired by him could have made a living by playing solely to the 1% of their time – they did that by deliberately playing to the gallery and playing to the gods. Shakespeare and opera come from that same place – speaking to human hearts of truths that are universal, primal and difficult to verbalise. Bringing beauty to unexpected places seems to me to now be more essential than ever – and this week, that unexpected place will be the upstairs room of a Victorian pub, where we will ‘mark the music’ together. Since he was not averse to eluding to ye olde taverns in his work, I like to think somehow that the greatest Bard that ever lived might well have approved.